Packaged sterile saline (with no additives, read the label) is a gentle choice for piercing aftercare. Saline for contact lenses should not be used as piercing aftercare. Wound wash saline is available as a spray at pharmacies throughout North America. Sea salt mixture: Dissolve 1/8 to 1/4 teaspoon (.75 to 1.42 grams) of non-iodized (iodine-free) sea salt into one cup (8 oz / 250 ml) of warm distilled or bottled water. A stronger mixture is not better; a saline solution that is too strong can irritate the piercing. SALINE soak for five to ten minutes once or more per day. Invert a cup of warm saline solution over the area to form a seal. For certain piercings it may be easier to apply using clean gauze or paper towels saturated with saline solution. 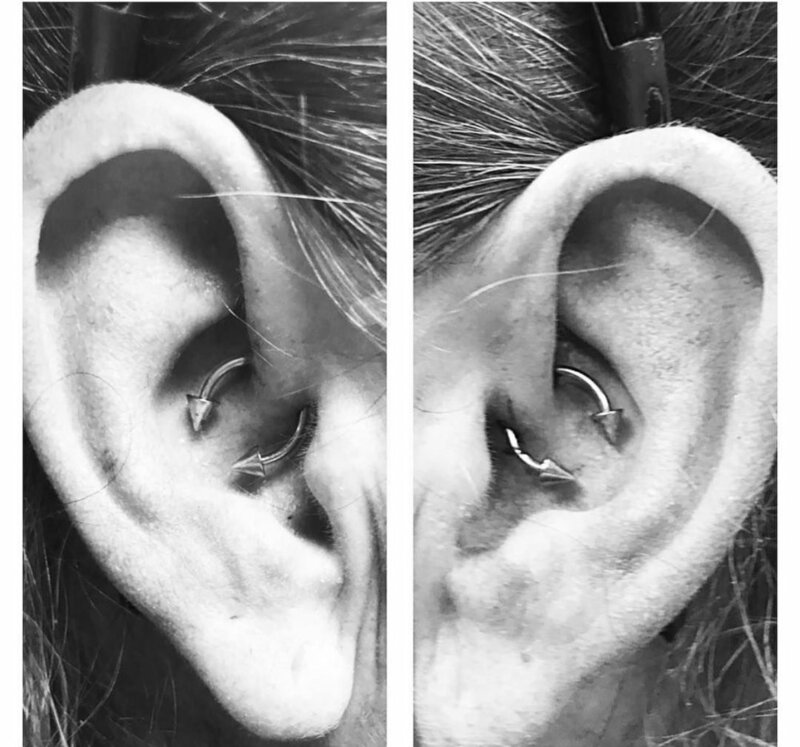 If your piercer suggests using soap, gently lather around the piercing and rinse as needed. Avoid using harsh soaps, or soaps with dyes, fragrances, or triclosan. Avoid moving jewelry in an unhealed piercing, or picking away dried discharge with your fingers. Avoid cleaning with Betadine®, Hibiciens®, alcohol, hydrogen peroxide, Dial® or other soaps containing triclosan, as these can damage cells. Also avoid ointments as they prevent necessary air circulation. Avoid submerging the piercing in unhygenic bodies of water such as lakes, pools, hot tubs, etc. Or, protect your piercing using a waterproof wound-sealant bandage (such as 3M™ Nexcare™ Clean Seals). These are available at most drugstores.